The movie Dinner for Schmucks: trailer, clips, photos, soundtrack, news and much more! Dinner for Schmucks – I love Switzerland? This movie looks awfully bad… I won’t go see it..
Steve Carrell looks like a rat on that poster of Dinner for Schmucks! Directed by Jay Roach, the movie Dinner for Schmucks is starring Steve Carell and Paul Rudd. 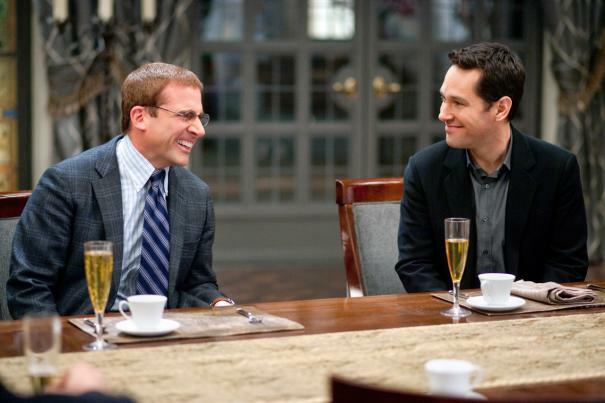 The movie Dinner for Schmucks is starring Steve Carrell and Paul Rudd. It’s is actually the remake of a French film, ‘Le dîner de cons’ directed by Francis Veber.